Why fit an ‘aftermarket’ performance exhaust? Price choice is to blame? - this might sound strange because to the end user often the price of the aftermarket performance exhaust is less costly an investment than replacement of the original OEM ‘stock’ option. Why is that? Mostly because of all the margins added on by the various intermediaries, the final being the dealership themselves; whereas with a proper aftermarket performance exhaust, the buyer is usually buying directly from the factory, or through their local importer/agent (if they are big enough a brand to have one). So why fit an aftermarket performance exhaust? Well you can easily free-up some of your vehicles power, a benefit mostly realised in the dynamic improvement of acceleration, following the performance exhaust allowing for a quicker, more efficient flow of exhaust gases. This means your vehicles engine "breathes" better; i.e. fuel and air/gases enter and exit the combustion chambers quicker. That means more fuel and air can be burned and this means more power output. There are several other worthy reasons of why to fit an aftermarket exhaust system. One of which is the most noticeable, however sometimes not so subtle, possibly distinctly aggressive, change in exhaust note. Most all of the more performance or competition orientated systems are only slightly louder than the stock exhaust at idle, but they deepen to a "growl" sometimes loud roar on acceleration. This is usually evident right form start-up and is mostly a result in the freer flowing system, the baffling material of the silencer is reduced and hence the power absorption is minimised. It’s a case of two for the price of one and for most motor enthusiasts, aka petrol-heads they find this to be a win-win. Other factors to consider are the material and techniques used to make the system. Some stock exhaust systems are made of mild steel (fewer these days though), so they have a tendency to deteriorate over time. The performance or competition orientated systems are made mostly using stainless steel of various grades, sometimes even titanium, designed to last much longer - usually for the life of the vehicle. WRT techniques, precision welding and for example, mandrel bends are used; offering smooth joints and pipe diameter that remain constant through the bends. That means there is less resistance, so you get more efficient airflow and therefore better performance. Depending on the type of exhaust system and whether a front or rear mounted engine, the use of oversized or enlarged diameter tubing adds to the less resistant airflow – a power winner, especially for turbo propelled engines. Depending on the buyer’s needs, most aftermarket systems add to your vehicles sporty appearance, with larger highly polished components, especially Endtips (or tailpipes) which provide for a more refined, aggressive look that is sometimes distinctive. That said, there are also some purpose-built to look stock aftermarket systems that still provide performance gains, purposefully for those sticky on not wanting to change the appearance from original. Some doing so simply, by offering the choice of reusing the original Endtips. When it comes to what to buying, most of the top performance houses offering performance exhausts produce very similar product with sometimes distinctive results, so it is best to do your own home work reading forums and even listening to You Tube video clips as sources of help. No matter what brand you choose, an aftermarket exhaust will definitely add to your vehicles performance, appearance, sound and in some cases investment value. 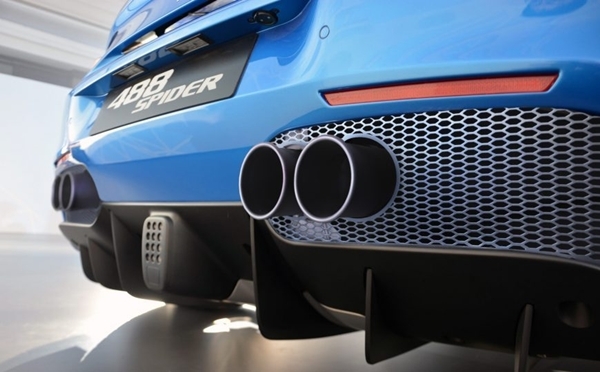 So whether you're looking for more power, showy looks, or both; the right exhaust system can change your vehicle for the better without regret and with the rewards of great driving pleasure.